On March 2nd, we had mid-semester review, a time for all DFA Rice groups to come together and present the progress made so far. Mid-semester review was not only a good time to reflect on the progress we made, but also a time to receive feedback from fellow peers and other groups. We made a presentation that highlights our progress from receiving our initial how-can-we statement and design problem to ideating solutions, and selecting our final design solution. Our final Mid-semester review presentation can be found at the end of this post! Some of the feedback we received involved the sustainability of our solution. Specifically, one aspect that was brought to light was how to ensure that the solution will be maintained even after current students graduate. This feedback is definitely a feature that our solution should address as we work to help all KTRU DJs, both current and incoming, become more comfortable with properly handling and playing vinyls. Sustainability will be a significant factor as we continue to develop and refine our solution, the “training tool”. Our “training tool,” then, should not be explicit to only current DJs; it should be comprehensible to and implementable for future KTRU DJs. 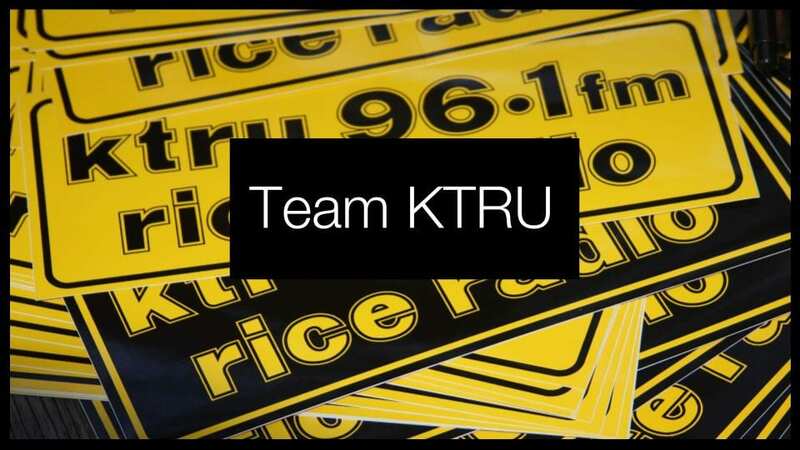 We also received comments on whether our “training tool” would address the goal of informing KTRU DJs on vinyl maintenance and care, such as needle maintenance. It is especially important that we remember to incorporate these technical details, as this aspect is one of the three main components of our narrowed how-can-we statement. Therefore, our “training tool” will have to be comprehensive: teaching KTRU DJs how to use and play vinyls during their set but also teaching them how to care for vinyls. Another piece of feedback we received was in regards to our secondary user we mentioned in our presentation, a user who knows how to handle vinyls but does not want to play vinyls. However, we are mainly focusing on the user who does not play vinyls primarily due to their unfamiliarity of using and playing vinyls, due to the scope of our project this semester. But, as we refine and develop our final solution, we could implement the idea of incentivizing playing vinyls by creating a visually appealing solution. It would not necessarily incentivize playing the vinyls, but it would bring attention to using and playing vinyls. After reflecting on our feedback from Mid-semester review, we will continue to incorporate our feedback as we move forward. This week, we’ll be working on the next step of the design process: BUILD! Check out our Mid-semester review presentation here!